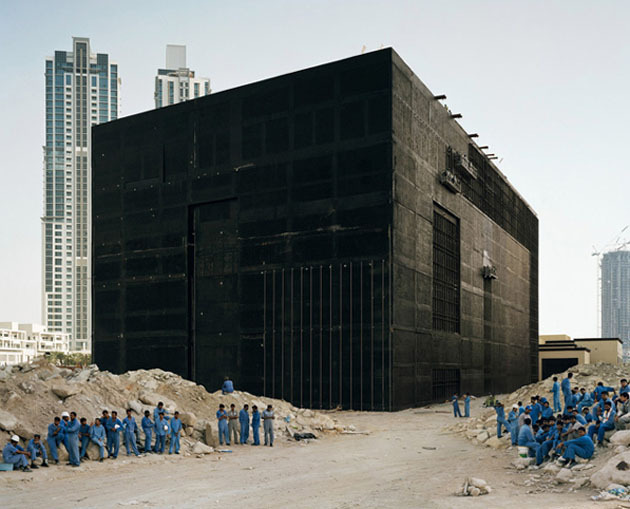 This Wednesday, renowned Dutch photographer Bas Princen gave a stirring lecture at London’s Architectural Association, in which he discussed technique, the informal maquettes he uses for visual study and the strange informal relationship growing cities in the developing have to the landscapes they quickly overtake. 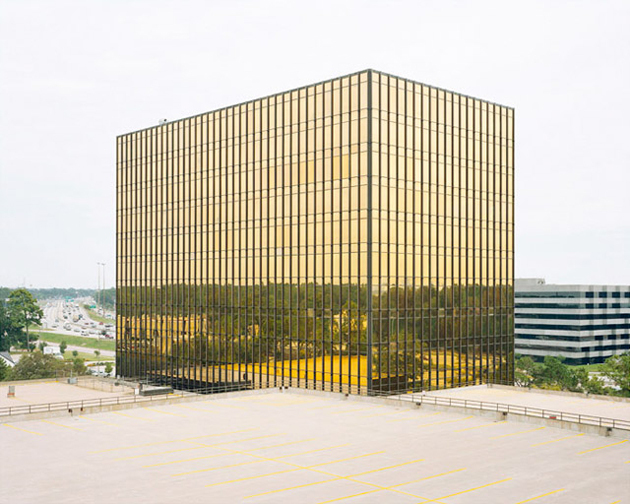 The image that has perhaps come to embody his work is an iconic shot of a squat office tower in Texas, its garish mirrored gold façade somehow serving to make it entirely invisible within its innocuous American surroundings, and it is in this tenuous play of landscape against/among/without/within the built environment that the magic of Princen’s photos lies. 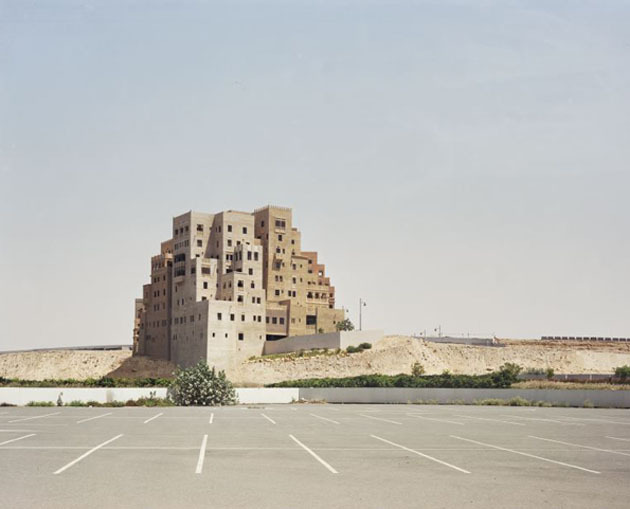 Unlike most photographers, whose subject focus comes perhaps through long processes of elimination, Princen was first trained as an architect and so has a keen sense for the built environment. That he shoots architecture was written in the stars, it seems. It’s been said that his sweeping, dramatic photographs slice through buildings and somehow omnipotently display and expose them from within. He chalks this up to the all-knowing eyes of the camera and admitted that he often discovers new things about a place he’s been through his images. And also unlike other, perhaps more romantic photographers, he doesn’t place much importance on an interesting story behind a bland image, saying instead that what is most important in a good image is that it be capable in itself of telling a powerful story. The dramatic interplay of landscape and architecture (both formal and informal) in Princen’s work has culminated in book called Reservoirs which eloquently, forcefully highlights an uncomfortable and tenuous relationship of the built with the natural. 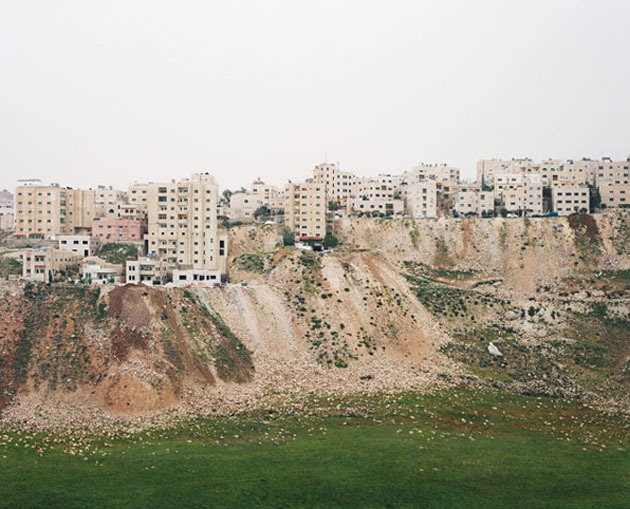 From massive public works projects in the desert outside Los Angeles to Chinese landscapes being subsumed by buildings, these images beg massive questions about 21st century urbanism and make reference the terrifying majesty of architecture itself. 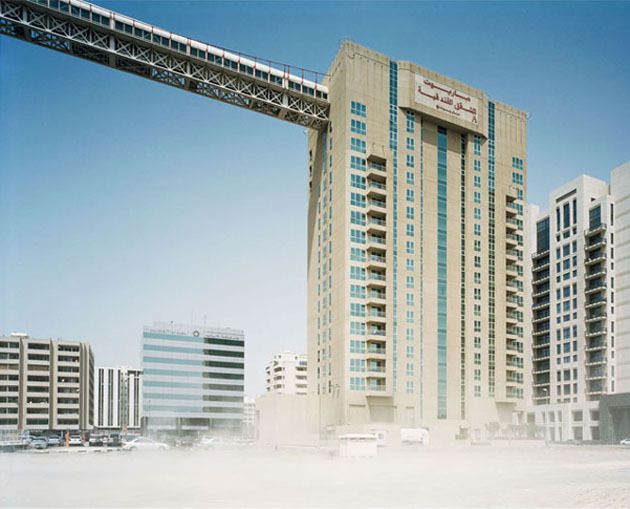 Interestingly, although his exhibited images have always been on shot on large format film with stationary view cameras, he has recently made a shift to high-end digital. The choice, he imagines, could change his work tangibly and will almost certainly result in more abstract images. And although we’re never really keen on an artist’s abandonment of analog (and many, including Cindy Sherman, have made sweeping total shifts in the past couple of years), we’re nonetheless interested in seeing his work pushed towards new frontiers. 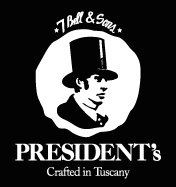 Princen’s exhibition opens tonight, Friday 27 April, starting at 6:30pm in London’s Bedford Square and will run until the 26th of May.